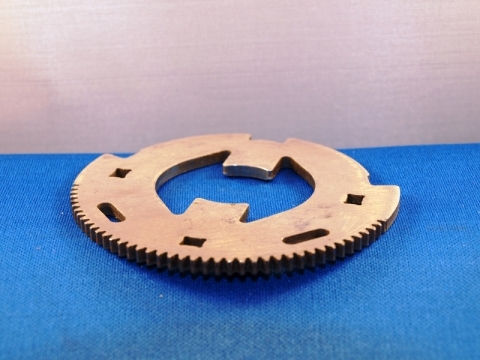 With over 60 horizontal, vertical, high-speed, and continuous chain broaching machines and a fully-trained staff on our premises, we can handle nearly any size part. V W has the production broaching equipment and the tooling capable of doing high-volume production work as well as cutting multiple dimensions on a single piece. We can create complex forms using modular tooling and multi-staged operations. 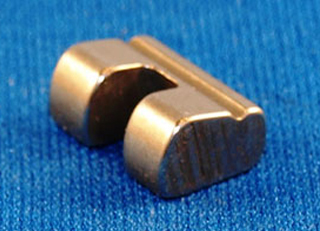 Surface, internal, and external broaching are the more common applications, but spiral, blind-hole, straddle, and pot broaching are just a couple of the complex specialty production operations that are standard fare at V W.
Broaching is a machining process that removes material by passing a broach, a tool lined with a series of cutting teeth, along or through an object in one consistent motion. 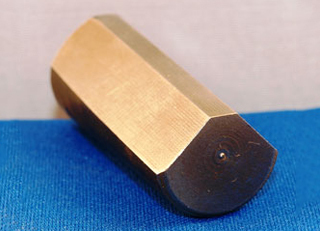 Broaching is one of the most precise processes for removing stock at incredibly tight tolerances. 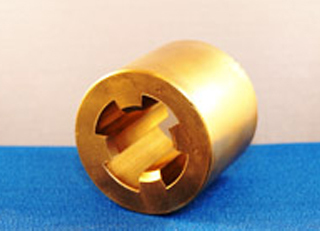 This fast and precise machining process, along with Wire EDM, is V W's specialty. 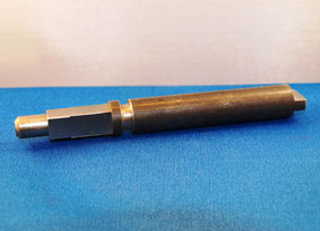 The best way to understand this process is to see the broaching process in action. 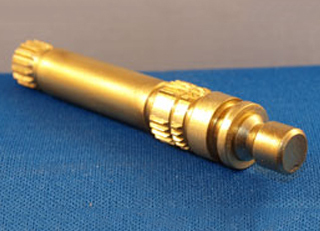 Below are photos and videos of Broaching, Wired EDM and more. We can cut up to 102 inches in length, using 42 tons of cutting power and a choice of 10 horizontal broaching machines. Ideal for cutting surface forms using ram-mounted tooling. We offer one-pass cutting capability of 90'' and 10 tons of power. Used to cut smaller parts while still holding extremely close tolerances. Cuts unique internal and external shapes and forms where there is no continuous clearance. 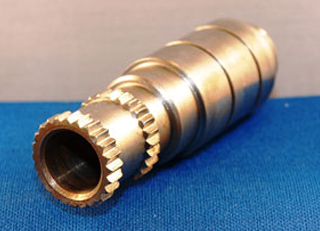 Also called helical or continuous engagement broaching, V W can create spiral splines or other desired forms. Cutting more than one surface of a piece part in one stroke by using multiple tools straddling the part. The process of cutting the entire outside diameter of a piece part, using multiple broaches. 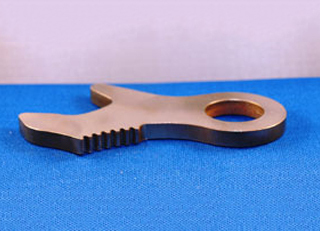 A combination of cutting tools, holding fixtures and machine tools are used to perform unique cutting processes. 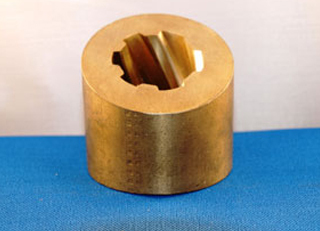 Surface broaching is fast, and typically more efficient than milling. Multiple dimensions can be cut simultaneously, and in complex configurations.